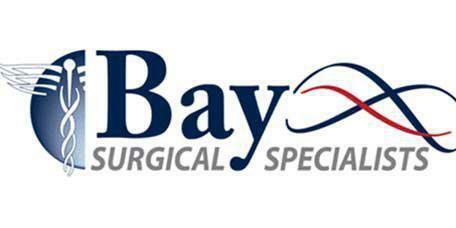 Dr. Almond provides minimally invasive endovascular treatment of thoracic and abdominal aortic aneurysm to patients from the Tampa Bay area from the Bay Surgical Specialists offices located in St. Petersburg and Pasadena, FL. The aorta is the main artery of the body, which moves oxygenated blood from the heart to the rest of the circulatory system. The aorta leaves the heart from the left ventricle, then passes over the heart and runs through the center of the body reaching the brain and the legs. An aortic aneurysm is a bulge in the aorta. The bulge creates a thin, weak spot in the artery. Due to the thinning of the arterial wall associated with an aneurysm, a rupture of the aneurysm is possible. This condition can develop in any part of the aorta, but it is most common in the abdomen and the upper body, which is also called the thorax. While the walls of the aorta are very elastic to adjust to blood flow, conditions like high cholesterol, hypertension and atherosclerosis can weaken the artery. Most of the time, aortic aneurysms are symptomless and are found when a doctor performs a screening or test for a different condition. How are aortic aneurysms treated? Is there preventative care for aortic aneurysms? The best way to keep aortic aneurysms from forming is to reduce the factors that can lead to their development. For example, those who smoke should try to quit. Maintaining a healthy diet and regular exercise also helps to maintain overall and cardiovascular health. Dr. Almond will be able to provide advice on the appropriate exercise levels to help his patients build and maintain stronger and healthier bodies.